Audreio works with Macs and iOS devices that are on the same local network. Audreio was originally launched as a solution for anyone who wants to stream high-quality audio between iOS devices, and now its capabilities have been enhanced with the release of an AU plugin. 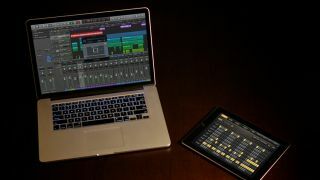 This, as you might expect, brings the Mac into the mix: with the plugin and the iOS app installed, you can stream audio between any combination of mobile devices and Macs running AU-compatible DAWs that are on the same local network. You can do this wirelessly or over a Lightning/Ethernet cable, and setting up is said to be easy. We've previously seen solutions for transferring audio and MIDI between iOS and Mac apps in the form of Zerodebug's Audiomux and Midimux. The Audreio AU plugin is available now priced at $20, while the iOS app can be purchased from the App Store for £3.99/$4.99. Find out more on the Audreio website.